About 45 minutes away from Baton Rouge, LA, there is a little historic town named St. Francisville. It's pretty much the cutest. Whenever I think of places in the U.S. that are so country, with a quaint small town feel, I've been picturing St. Francisville. 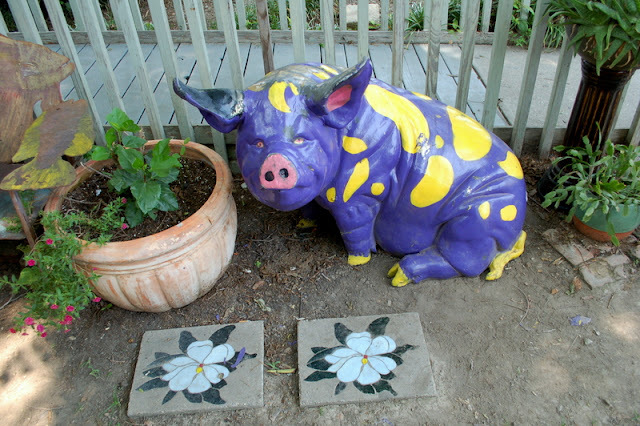 Speeds are slower, the cafes are cuter, and the people seem friendlier. Even their lemonade-stand workers are adorable. 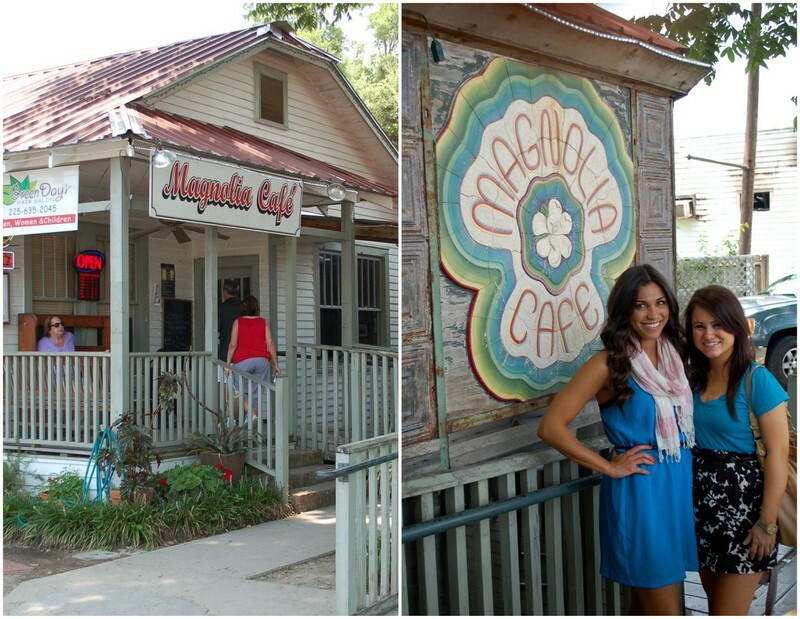 The most popular restaurant in town is called the Magnolia Cafe, and after reading the very persuasive Yelp reviews, Dev, Kenzie and I decided to stop by for lunch. The place was packed! A spacious enclosed patio offered a few larger tables, but no air conditioning and a slow rotating fan. The 80% humidity and I were no getting along, so we opted for a mini two person table on the inside. Tight squeeze! And what do the perfect southern women do upon sitting down at a restaurant? I picture them ordering sweet teas, glowing and dewy from the hot outside temperatures, ready to relax with girlfriends for a few hours. So that's exactly what we did. Devin & I ordered a famous Muffaletto sandwich (which I pronounced mufahletta, and was quickly corrected), which was basically everything I've ever wanted in a sandwich. Holy olive & cheese overload! To think this was a HALF order of the sandwich. Which we split...and people order the entire thing for one person? How. We also ordered a salad to split, which came with cheddar cheese. Another heavy helping of cheese? We decided to pass, and asked to hold that topping. The salad they brought us had a heavy topping of jack cheese instead. Haha! Oh southern eating, I'll never be able to keep up with you. Exactly how I felt when we left. HA, excellent last photo. Also, there's no such thing as too much cheese!!! Totally no such thing as too much cheese. The sandwich challenged me, but in the end I won. Success!